Hello and welcome back to my blog with a free video! This week I will be talking about pregnancy and brain training. Pregnancy is a very exciting time for mums and dads to be, so in this blog I’m going to talk about some neurology and brain based fun so the dads to be can feel included. In this blog I will talk about parts of the brain/nervous system which are the cerebellum, the vestibular system and parietal lobe and why they are important for mum and baby, but also how the exercises are in fact useful for all of us. My friend who is pregnant kindly agreed to be my model for the pregnancy exercise video I am currently making. At the end of the blog there is a link to a 9 min home workout ‘Neuro Pregnancy on the ball’, which is in fact suitable for anyone interested in improving their brain and nervous system, not just pregnant ladies. The full 1hr video will be available in a few weeks. I have taught pregnancy classes since 2010 and love it and its very very easy to just focus on mum and baby, and totally forget about dad! We all know that being active and keeping mobile is part of a good healthy lifestyle, whether you are pregnant or not. In terms of your unborn baby’s development, the vestibular system AKA balance system develops very early on, when the foetus is small even at 10 weeks, its pretty much somersaults around in the womb, which is great stimulation, meaning t your baby’s vestibular system/balance is well developed at birth, where as baby’s visual system and other brain are far behind. Staying active during pregnancy is key for helping your baby develop his/hers balance system in the womb and yet another reason for mums-to-be to stay active and bounce that bump. Firstly, most people who have been pregnant or been around someone who is, which is pretty much the whole population have heard of ‘Baby Brain’, as in getting more forgetful during pregnancy. The jury is still out on to whether this this is fact or fiction. The results of one study claimed that women ‘tricked themselves’ into thinking they were becoming more absent-minded simply because they had been told this was a likely symptom of pregnancy, so just a placebo effect. Another study suggested that women do in fact become slightly more forgetful with respect to menial tasks, so that more focus and energy can be put into their own inner workings, what the unborn baby is doing and preparing the home for the new arrival. Meaning is selective amnesia, or the brain filtering out information that is not baby related or deemed to be important. Additional studies suggested that baby brain was possibly caused by lack of sleep, as during pregnancy it can be difficult to get comfortable at night and many women wake during the night to go for a wee. In my experience, I have found that women who are in their 3rd trimester get better at remembering where they put an object or where somebody else put the object, so they become the car keys and iPhone finders. On the other side of the coin, I have found that sometimes pregnant ladies find coordinating new movements in an exercise class a bit tricky. So why is this? It’s in part becasue the cerebellum which is a part of the brain involved in accuracy, balance and coordination can be affected temporarily by physiological changes which occur during pregnancy, more about this later. 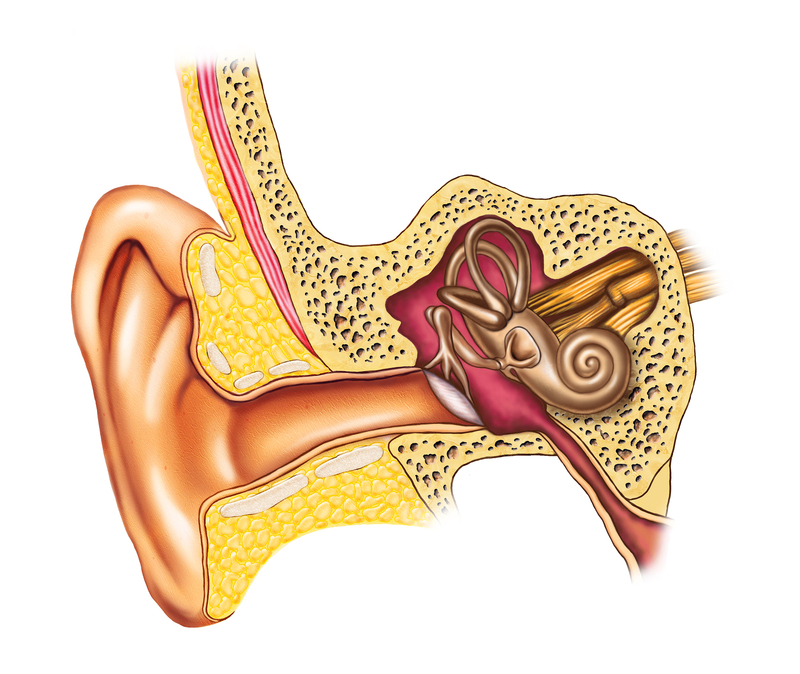 The cochlea, which most people have heard of is a structure shaped like a snail and filled with two fluids (endolymph and perilymph) and deals with hearing. Also within the inner ear are the semicircular canals, the utricle, and the saccule which are the loops on top of the snail in the picture below, which for now we will say deal with balance. These balance organs share the temporal bone space with the cochlea and the same fluid that is in the cochlea. So in order to work the inner ear in part uses fluid dynamics, which gets disturbed when a woman is pregnant, due to extra blood volume, it is not damaged or broken. This means during pregancy your balance system can be a bit wobbly at times. The part of your brain which deals with sensation and where your joints are in space, the parietal lobe also gets disturbed during pregancy as the body shape is changing , baby is growing so the brain constantly has to process this. Body parts are not in places it is expecting and also the brain has to re-learn how to move this ‘new body’ with a body inside. So the overall effect in pregnancy is a bit of a loss of spatial awareness and being able to coordinate movement. During pregnancy a woman’s blood volume slowly increases by 40–50%. The increase is mainly due to an increase in plasma volume through increased aldosterone. This means that over the course of pregnancy a woman’s heart rate can increase by 15 beats per min. The blood vessels develop first, to accommodate the new blood volume, and this is why early in pregnancy some women feel lightheaded and get low blood pressure. On this note feeling dizzy and feeling light headed, faint or woozey are two totally different ‘symptoms’ which can easily get mixed up when patients describe how they are feeling to a doctor. Feeling dizzy also shows there is something up with the balance system, and what it means is ‘Do you feel like you spin?’ or Do you feel like the world is spinning? if so ‘In which direction is the spinning’. The balance system in the body AKA the vestibular system (inner ear) plays a role in cognition and mood, it also integrates and talks to the cerebellum (little brain behind the brain) which controls accuracy, balance and coordination of movement and cognition. During pregnancy the balance system is affected due to the extra blood volume, meaning the other systems which it connects to will also be affected. 1. The semicircular canal system, which monitor rotational, turning or twisting movements of the head. 2. The otoliths which monitor linear accelerations, so in lay terms moving up and down (jumping or squatting) or forwards and back (sprinting or doing press ups). When you jump up and down or squat you stimulate part of the balance system called the the saccule and when you move forwards and back you stimulate the utricle. The vestibular system sends signals to the neural structures that control eye movements and to the muscles that keep us standing up. The vestibular system’s job is to keep you upright and therefore plays a big role in posture and spine stability. The vestibular nuclei on either sides of the brain stem exchange signals regarding movement and body position. These signals are sent down the following projection pathways, so this is some of what the vestibular / balance system talks to. The cerebellum. Signals sent to the cerebellum are relayed back as muscle movements of the head, eyes, and posture. Cranial nerves III, IV, and VI. Signals sent to these nerves cause the vestibulo-ocular reflex (VOR) . They allow the eyes and head to work together so you can keep a target in focus without it getting blurry. Via the Ventral Pathway, which tells your brain which way is up, so the perception of the direction of gravity. It doesn’t matter if you are not into neurology as in the video I will explain in lay terms how each exercise works on your brain and nervous system with reference to some of points above. I have not covered all the points, otherwise the video would be too long. Not all pregnant ladies get issues with balance, coordination and memory, and of course lots of people who aren’t pregnant get memory, balance and coordination problems. Some pay a lot of money on fri/sat night to get pissed, mess up their cerebellums and to get balance, coordination and memory disturbances.